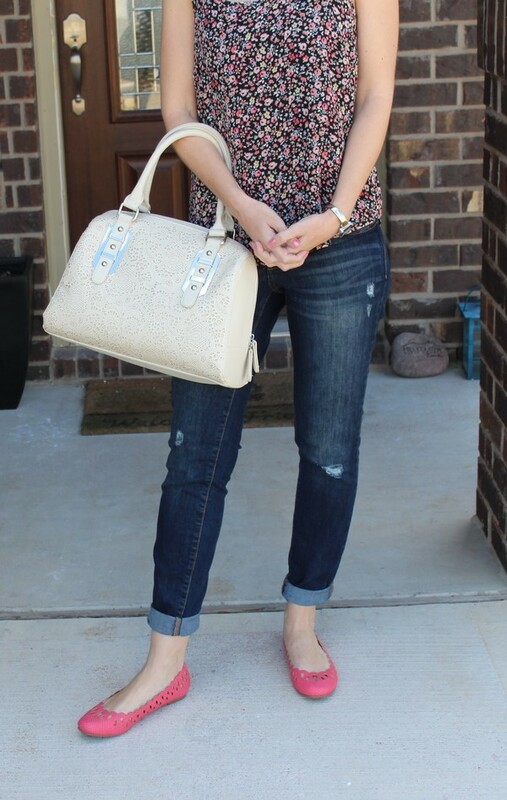 It’s time for another Cute Outfit Ideas of the Week and I’m super excited about this one! It’s edition #26 and it means a lot to me. Why you ask? (You did ask right?) Because I’ve been chosen to be a Kohl’s Ambassador and this brings me much joy and excitement. 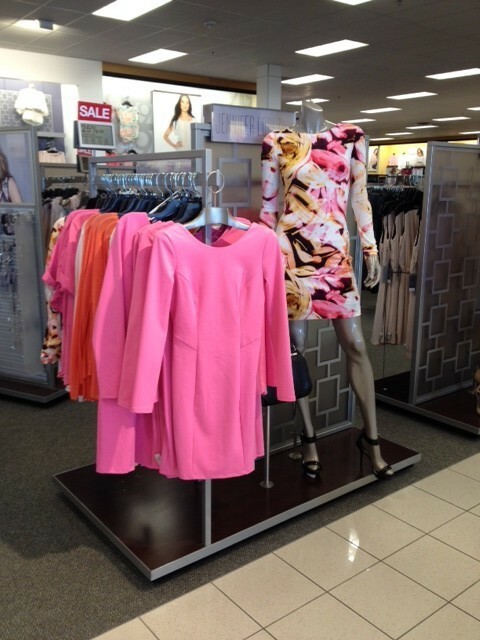 I have been a long time fan and shopper of Kohl’s and am thrilled to show you everything they have to offer. As a busy mom of 3, a wife and a business owner, I don’t have time to spend all day Saturday, or any day of the week for that matter, shopping. I know what I like. I know what I need and it’s important for me to be able to have a store I know I can count on. Kohl’s is that store for me. They have great selections, brands I can trust and they stay on trend – which as a fashion lover – hey, it’s important to me! 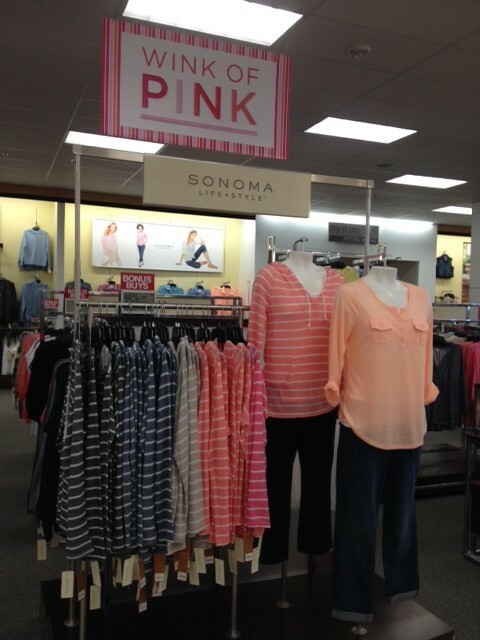 How did I choose to incorporate pink during my shopping trip to Kohl’s? It was very hard to choose, but oh so much fun. I chose to wear my Wink of Pink in my Shoes (Can a girl be in love with a pair of shoes? Obviously yes. 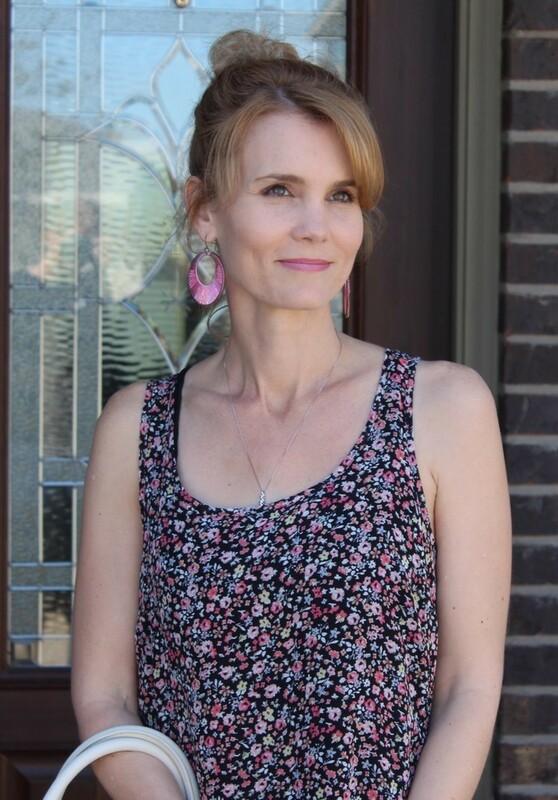 ), touches of pink in the chiffon tank, my earrings, nails and lip color. I’m also wearing several trends that are big right now and I am eating these trends up! They are: cuffed jeans (these look good on everyone), laser cut shoes and handbag and a feminine blouse. Let’s talk about this blouse for a minute. Did you notice the bow back design? It’s a little difficult to tell in my picture, but just click on the link and you’ll see it. When I turned the shirt around and saw that, I said “Sold!” It adds an even more feminine touch and uniqueness to the shirt and I love it. Spring nights can still get chilly and sometimes a sleeveless top isn’t practical. 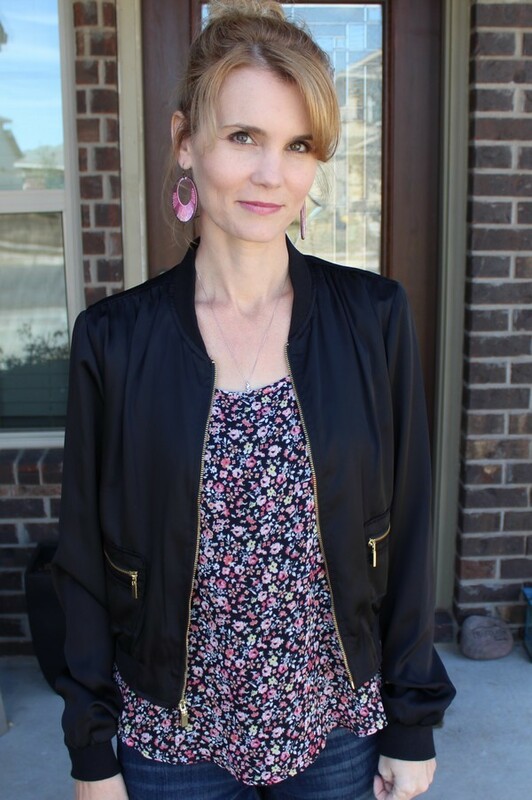 To give the outfit a little more edge (and to keep you warm), I added this black moto jacket. I love the way it looks and feels. Sometimes your waist can get lost in flowy tops and there’s a great way to take care of that – belt it! Adding a skinny belt to this top really added a whole new look. Instead of the moto jacket, I added a feminine off white cardigan to still keep me warm, but it wasn’t as heavy in color as the jacket. So there you have it! 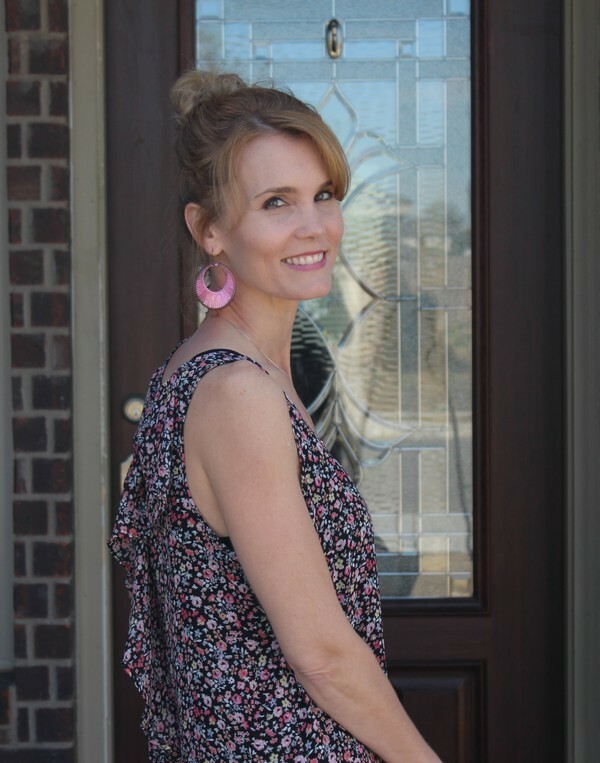 My Wink of Pink and how I incorporated this Spring’s hottest trend – PINK– to create three fun looks that are very mom friendly. I wore this outfit out and about yesterday to dinner, and taking kids here there and everywhere which is pretty much my life right now. That means one of my priorities when it comes to fashion is comfort. That’s my season of life and I love it! Yes, I want to look great but if I’m miserably uncomfortable in any article of clothing, it just won’t work. Those Lauren Conrad shoes? They are literally some of the most comfortable, foot hugging flats ever. I can’t wait to wear them with many more outfits. Stay tuned for many more Kohl’s goodies from me! I can not wait. Previous articleSale Alerts: Tommy Hilfiger 40% Off Sitewide, 30% Off At Nautica & More! Thank you Andrea! I will definitely stop by today. 🙂 I’m loving all of your looks as well. I’m getting some great outfit ideas!! If you don’t mind me asking…where did you get the distressed Capri jeans? They are so Cute! You look amazing and I am inspired and so ready for Spring!